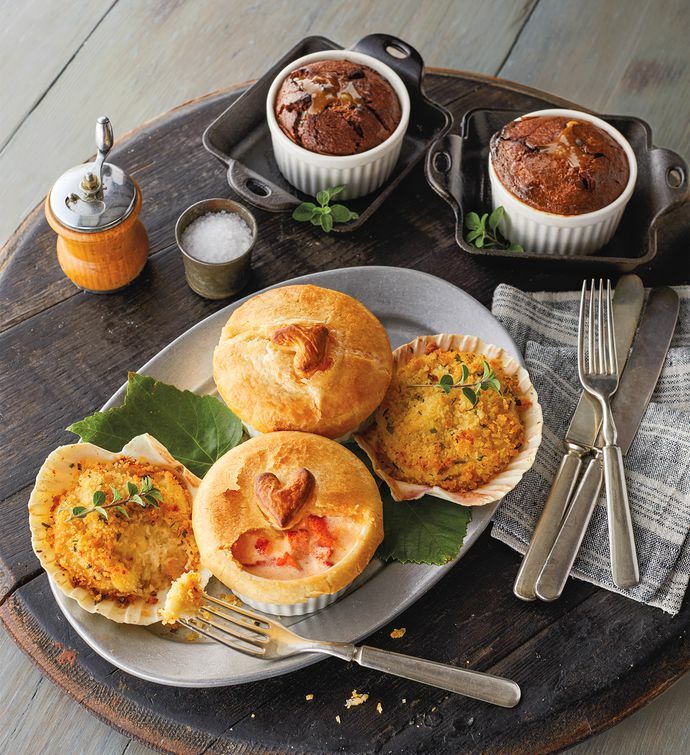 Our Lobster Dinner for Two features succulent lobster from the rocky coast of Maine splashed with a sherry cream and baked into two award-winning pot pies. 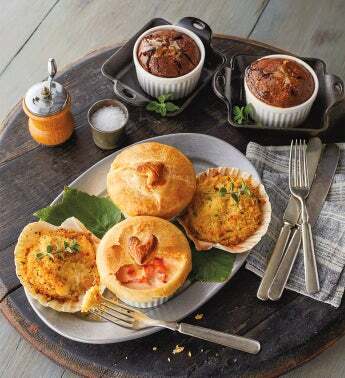 Along with these comes tantalizing quattro formaggio sides of delicate crab meat, tender shell pasta, and a rich cheese sauce, all presented on a real scallop shell. Finally, to close the evening, two molten chocolate dulce de leche souffles served in ramekins remain to be enjoyed.